Based in the Blue Mountains, Brendan is one of Australia’s most successful and versatile endurance runners. He has a passion for running trails, over short and long ultra distances, and this has taken him around the world as well as to some of the most spectacular locations in Australia. Brendan has competed for Australia in trail running, mountain running and road running, and continues to participate in events ranging from community parkruns through to ultra distance events at a competitive level. As a primary school teacher with a Masters in Special Education and as the director of UP Coaching, Brendan is excited to be able to combine all of his skills and passions through Trail Kids. Together with Jo, Brendan looks forward to creating tailored, interesting and unique events to get kids active, healthy and confident on the trails. Having lived much of her life in the Blue Mountains, Jo grew up with a love, appreciation and respect for the mountains and the bush. She is passionate about education, health, and active living. 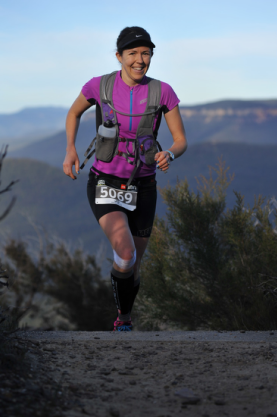 Jo is also a competitive trail runner who has worked in education as a PDHPE teacher, is a qualified personal trainer, and holds a Diploma in Yoga. Jo is also a busy mother of three, and co-director of a female adventure company, Summit Sisters. She loves to share her enthusiasm for being active and exploring trails with her children and their friends. Seeing first hand the difference trail running has made in her own kids lives, Jo is excited to build on this with other families through Trail Kids. Jo sees Trail Kids as a way to build confidence, fitness and resilience in young people, whilst teaching them about and connecting them to nature.